Rick's Pocono Blog: A Kunkletown Master Colonial Home! 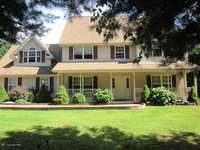 Beautiful 4 Bedroom 2.5 Bath Colonial Home! Wide front porch to Relax and enjoy the Lovely trees that surround the property.Cathedral ceilings in both the Family room and Master suite. Large eat in Kitchen with Cozy Breakfast Nook. All on over an Acre on a lovely Quiet cul-de-sac street, in a No Dues community. Did I mention Very close to Downtown area with many Conveniences and highways for Commuters and in the Pleasant Valley School District! Ricks Mountain Homes is my website where I bring you all the latest information on listings, rentals, and Pocono Mountain Happenings. This home is a steal because of its quiet nature, and it's conveniently located near the downtown area with all your local needs. This is a home that any Pocono Mountain lover will fall in love with. This home is a dream for sure. Also, the best way to find your perfect Pocono Mountain Dream Home is to visit my website, and find my MLS Search. It's quite simple, you just type in your price, house description, and contact information and I will find your perfect Pocono Mountain Home Match for you! Gas Oven Range, Garage Door Open, Dryer, Dishwasher. 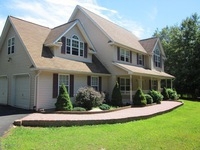 A Beautiful Home Indeed Located in Kunkletown PA in the Pocono Mountain's West End in the Pleasant Valley Area. To know more about this home, the area, or the Pocono Mountain in general, Contact Me by phone, email, or of course find me on my website. I am more then happy to find you your Perfect Pocono Mountain Dream Home with Old Fashion Service and Today's Technology.